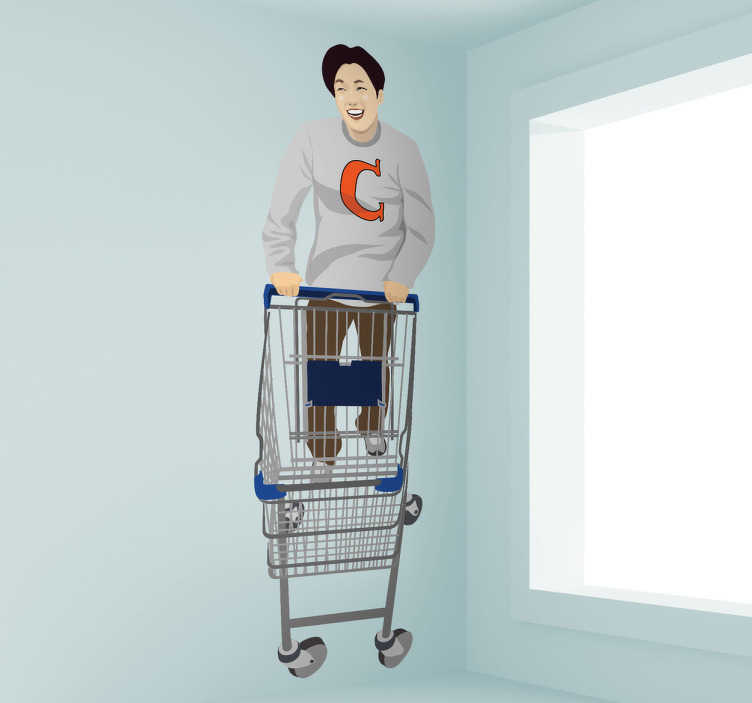 An decorative decal of a young guy doing his shopping with a trolley. This shopping sticker is great to decorate your home and store! If you are looking to decorate your place to attract customers then this will definitely catch everyone's attention.